A map showing the location of every Most Haunted and Most Haunted Live! episode since the show began in 2002, including haunted locations across the UK, in Europe and the United States. If you're planning on following in the footsteps of Yvette Fielding and her team of fearless ghost hunters, then this location map is for you. It shows the exact filming location of every episode of long-running British paranormal television show. If you do chose to visit any of these properties, remember that while some are tourist attractions, many of the locations are private residential properties. Please respect the current owners' privacy. This map shows the 360 locations that the Most Haunted team have visited since the show started in 2002, up until the most recent series in January 2019. The map includes the 240 locations in all the regular Most Haunted episodes and 'Midsummer Murders' episodes. It also shows the 139 locations where the team have broadcasted from as part of their Most Haunted Live! events. Taking into account investigations spread across more than one episode, episodes featuring multiple locations, and repeat visits across the regular series and live shows, that's a total of 360 locations. Be sure to scroll around as the maps includes the 17 locations outside of the UK where episodes have been filmed. You can also click on the markers for more information on each location. The part of the country that Yvette and the team have visited the most is the North West of England, where they have filmed 42 episodes. This is followed by Yorkshire and the Humber in second place with 27 episodes. Then the West Midlands with 26, the South East of England with 23, the South West of England with 22 and Wales where 21 episodes have been filmed. However, the show has only visited Ireland for 4 episodes. A complete list of international location that Yvette Fielding and the Most Haunted team have investigated as part of the long-running paranormal show. These are the Scottish filming locations that Yvette Fielding and her team have investigated throughout the history of Most Haunted. 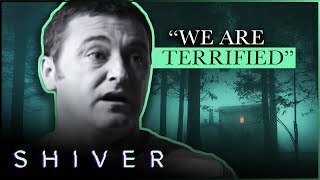 A complete list of every location in Wales that Yvette Fielding and the Most Haunted team have investigated as part of the long-running paranormal show. A complete list of every location in the East of England that Yvette Fielding and the Most Haunted team have investigated as part of the long-running paranormal show. A complete list of every location in the North East of England that Yvette Fielding and the Most Haunted team have investigated as part of the long-running paranormal show. Yvette Fielding has lead the Most Haunted team to many haunted location in the North West of England during the history of the long-running paranormal television show. 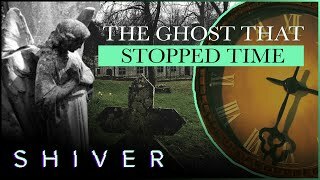 A complete list of locations in the West Midlands of England that Yvette Fielding and the Most Haunted team have filmed at and investigated as part of the show. A complete list of every location in the South West of England that Yvette Fielding and the Most Haunted team have investigated as part of the long-running paranormal show. 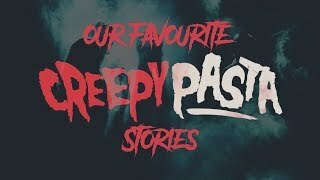 A list of all of the locations in the South East of England that the Most Haunted team lead by Yvette Fielding have investigated throughout the show's history.